T3 Agenda: The Cat S41 is the Hulk of smartphones. The clever HiMirror+ that analyses your skin. And more! Cat has introduced the latest handset in its range of robust, shockproof smartphones - the tough cookie that is the Cat S41. A rugged and resilient device with a considerable battery life, it's been designed to keep you connected no matter what challenges the day presents. A massive 5000mAh battery forms the heart of the Cat S41, providing up to 38 hours 3G talk time and as much as 44 days standby. 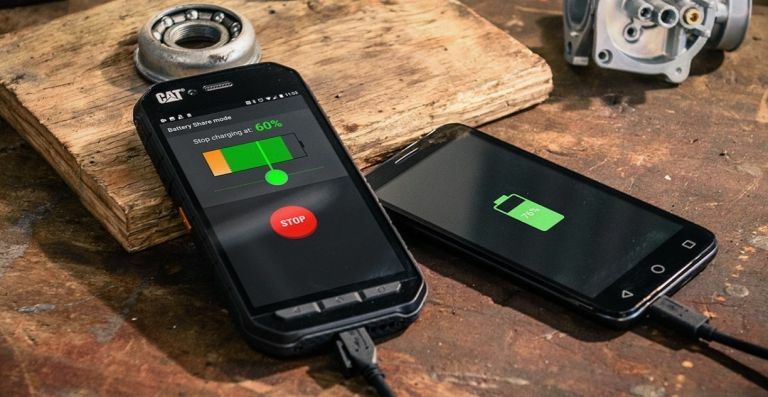 A Battery Share functionality adds a unique string to its bow, effectively turning it into a power pack for other phones or devices - perfect if you need to charge your personal use phone. It even reserves a predetermined power level for the phone based on an easy-to-navigate in-app slider. The Cat S41 smartphone has a price tag of £399 and is available to order online direct from Cat. While we're a long way off trapping spirits in mirrors to help boost our egos of a morning, one company has come up with the next best thing - the HiMirror+, a connected smart mirror that assesses your complexion and provides personalised skincare analysis and make-up advice. The Wi-Fi-connected mirror has an in-built camera capable of identifying wrinkles, pores, red spots, brightness levels and firmness, to provide users with a tailored skincare report. It offers routines, recommends products and even uses AR to let users virtually ‘try on’ make-up looks, including showing you how to contour your face for the best effect. The mirror will be available from 15 November, priced at £319. Kids outdoor brand Muddy Puddles has launched a brand new blizzard jacket, designed to keep your little one warm this winter and wrapped up safe from all this story weather we seem to enduring as of late. The blizzard-proof jacket is suitable for 2-12 year olds, and has been tested (so we're told) in extreme minus conditions of the Canadian winter. It's fully waterproof, breathable and windproof, and comes in three vibrant designs inspired by from Michael Morpurgo’s book Where My Wellies Take Me. It even includes an iPod pocket with headphone slot and retractable ski pass holder. And best of all, at the end of a muddy day it can be thrown in the washing machine! Order one today for only £85. Pioneer DJ has given its popular 4-inch active desktop monitor speakers, the DM-40, an upgrade with the introduction of Bluetooth to offer versatile connectivity in the DM-40BT (black) and the DM-40BT-W (white). According to the firm, the DM-40BT/DM-40BT-W active speakers create a versatile home set-up, producing a, "rich, balanced sound that’s ideal for producing and DJing." With that Bluetooth wireless technology on-board, and support for the high-quality Qualcomm aptX audio codec and AAC support. The DM-40BT/DM-40BT-W active monitor speakers will be available from next month with a price tag of only €199 (£176) per pair. Following the success of its Gabba and Perfetto ranges, cycling apparell specialist Castelli has launched a new collection that bridges the gap between its wet or dry focused garments - the Alpha RoS. RoS (or Rain or Shine as it's known to friends and family) is a new line of products designed to be phenomenal in dry weather, and your go-to apparel for those cool or cold dry days, even when there's a chance of rain. The key is utilizing all of the right materials available in Castelli’s vast collection, and applying them where they can get the maximum performance out of them. The range includes the lightweight and versatile Alpha RoS jacket, which you can buy direct from Castelli for £260.